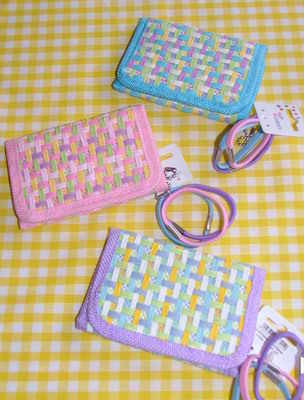 Weave pattern wallet with hairbands. Weave pattern design wallet with 3 hairbands. Choice of pink, purple or blue. Please state colour choice when ordering.